(Reuters) – French drugs firm Sanofi (SASY.PA) said it would be able to name a new chief executive in the coming weeks as it delivered 1.5 percent quarterly earnings per share growth and predicted that euro weakness could boost profits this year. "The announcement will be before the end of the first quarter," said Chairman Serge Weinberg, who has been acting CEO since Chris Viehbacher was fired at the end of October for poor execution of strategy and lack of communication with the board. Analysts have said the delay in finding a new CEO after some potential candidates appeared to reject approaches has been weighing on investor sentiment. Sanofi shares rose almost three percent in the first few minutes of trading on Thursday. "We expect the shares to respond positively to the CEO search update and 2015 EPS guidance today," said Jefferies analysts in a morning research note. 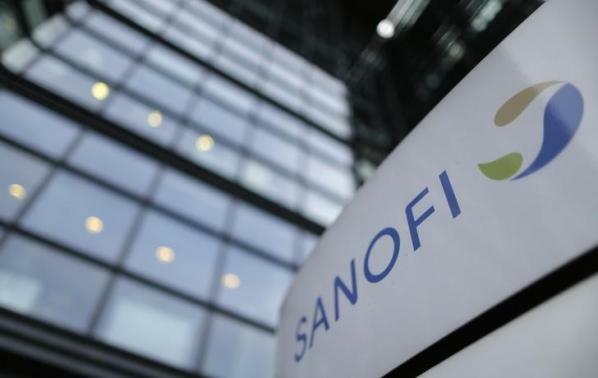 Nevertheless some traders were more skeptical after Sanofi announced a dividend for 2014 of 2.85 euros, up from 2.80 euros for 2013 but below analysts' forecasts of around 2.91 euros. They called the 2015 outlook cautious. A poor sales performance by its key Lantus diabetes drug in the United States was one of the reasons cited for the sacking of Viehbacher. Weinberg said on Thursday that he had stabilized Lantus' U.S. market share after replacing more than a third of the people running the sales side of the business. Despite the stabilization at its important diabetes division, the company said in a statement it would need the euro to stay weak if it was to secure significant group earnings growth this year. It said it saw "stable to slightly growing" 2015 EPS at constant average exchange rates, but with a positive impact of 4 to 5 percent assuming end-2014 exchange rates. Business earnings per share grew a reported 1.5 percent from a year ago in the fourth quarter to 1.39 euros ($2). At constant exchange rates there would have been no growth. For the year as a whole, double-digit sales growth in each of its four targeted growth divisions helped Sanofi deliver EPS growth of 3.0 percent to 5.20 euros, ahead of an average analyst forecast of 5.17 euros according to Thomson Reuters I/B/E/S data. The French pharmaceuticals group shocked investors three months ago by predicting Lantus would deliver little growth in the years up to 2018. Viehbacher's sacking followed a day later. Fourth quarter sales grew 7.3 percent to 9.072 billion euros and 4.6 percent at constant average currency rates. Business net income grew 0.8 percent, but adjusted for constant average exchange rates it fell 0.3 percent.